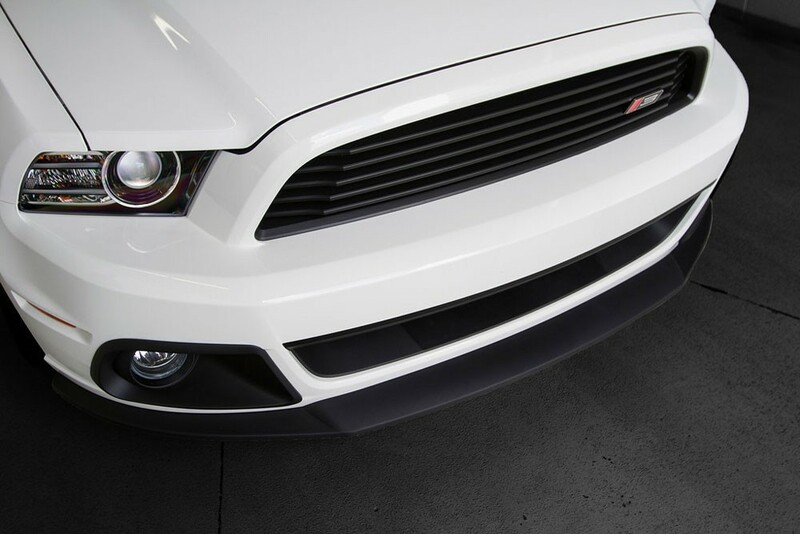 The Mustang Front Chin Splitter, from ROUSH® adds true race-inspired styling and performance to your 2013-2014 Ford Mustang including V6, GT, Boss 302 and California Special. 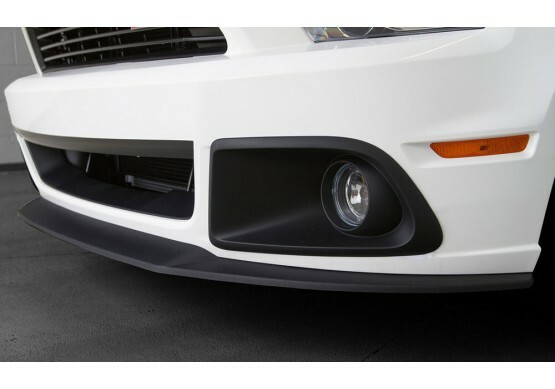 The 2013-2014 Ford Mustang Front Chin Splitter is made from high-strength TPO (thermal plastic olefin) with a black stipple finish for an OEM look and long lasting durability. 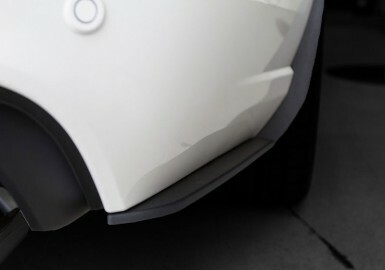 The plastic is molded with high-pressure injection, the same process used by the automotive manufactures which allows for excellent impact resistant, tough yet flexible, easy color ability, low density, and light weight. Easy installation and there is no trimming needed or painting needed. All required parts are included such as hardware, templates, and detailed instructions. 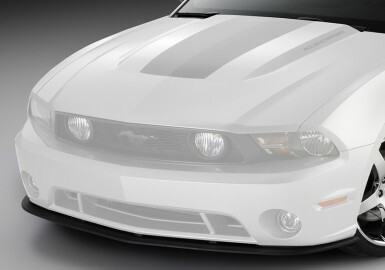 Front Chin Splitter helps to reduced drag and increase downforce on your Mustang. 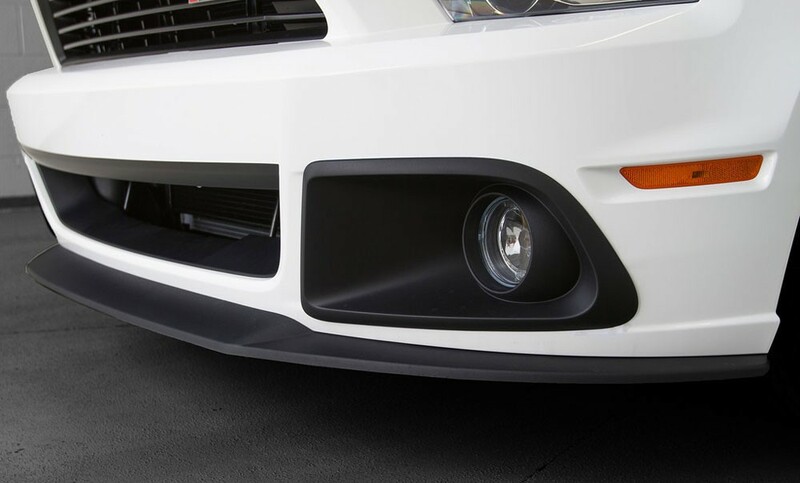 When in use the front chin splitter improves your car's aerodynamics by improving the transition between the high-velocity airflow underneath the Ford Mustang and the much slower freestream airflow of the ambient atmosphere. 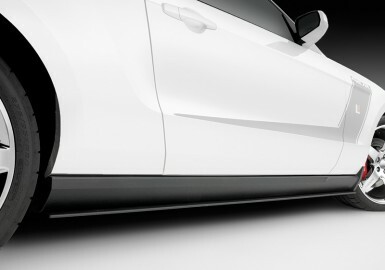 The front chin splitter works by providing a space for the underbody airflow to decelerate and expand so that it does not cause excessive flow separation and drag. What does this mean as you consider adding one of the many performance Ford Mustang upgrade packages seen here? 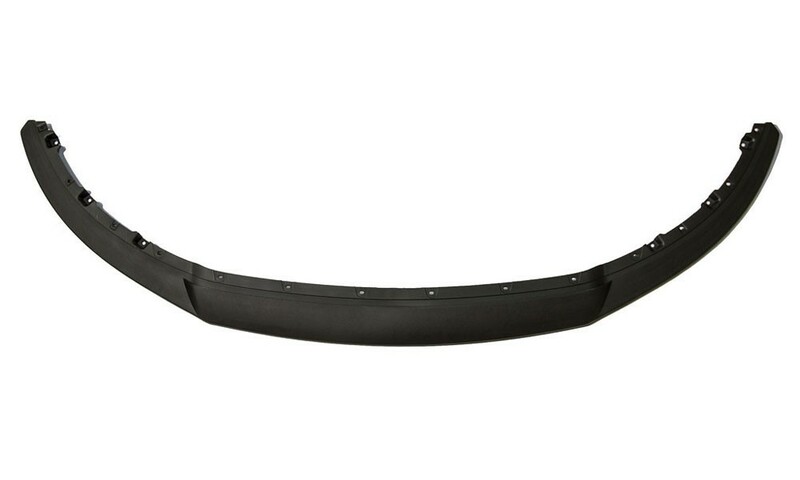 It means that there is a wealth of knowledge and experience behind every part such as the 2013-2014 Ford Mustang Front Chin Splitter that we sell. ROUSH does more than simply selling parts that upgrade performance and style. Rather, we do so while holding the highest standards of quality and longevity. To do this requires a high-level of understanding of the entire 2013-2014 Ford Mustang as a system, and this is something that few in the industry deliver.